You are invited to join the next Galactic Lightship Dreamflight this Saturday night (4 August 2018) during dreamtime. I intend to join. Have not decided on a ship yet. I hope to get some other participants too. God…why this scene looks so déjà vu, even just triggers tears !!! It feels like a voyage so long that I even lose all the hope to be able to meet the lost family, then the home seems to start to be visible?!!! It’s not the home whence we had left when it had been destroyed, but where we are going to be able to be gathered, not only for once, but to live, to weave more dreams. Home is where our beloved ones are!!! How cruel that the memory that we can retain or preserve is just so limited. Better or not? for the memory would be rather too hard for us to take, to handle?!!! My awesome dear ones, you just reminded me that I’ve to know first to connect with the very exact ship. All the last days, all my dreams have to do with TESTS. Sorry for that my reluctance to recall them for I’ve never been the one who can feel proud of TESTS. Besides, I don’t know if it’s owing to the energy streams, I was so driven to chase the “TIME TRAVELERS” issues and once dreamed of one related dream in July 31st. Strictly speaking, in that dream, it’s rather the reincarnation memory, rather than time traveler. However, I don’t know why in that dream, I felt myself as a time traveler. In that dream, I met the soul family when we all got involved in some building works? around the very very thick PIERS of the VIADUCT or FLYOVER. Owing to the malevolent ones’ surveillance or even hunt, the atmosphere felt so tensed. I was relentlessly searching for the moment to awake my soul mate’s memory before this incarnation, but failed. How ironical that undoubtedly I’m on the contrary the sleepy one in this 3D life !!! So….my precious ones, how precious all the pieces you have shared here. We all know that how different between thinking of something individually and getting more pieces of the bigger picture thanks to the collective works, even realizing again and again / more and more the very synchronicity !!! With regards to the video about time travelers that I’ve consulted, honestly, I don’t deny there are quite amount of them which look so questionable. On the other hand, I don’t think I’m capable to discern them at all, so would not like to post them here. At this very LION GATE, I guess there are going to be lots of amazing dream or meditation experiences. I cannot wait to read the upcoming dream logs of YOU, the awesome ones !!! I was wondering if you could add the ship Ceilidh to the list in the Fleet page including the description from the post where you manifested it? 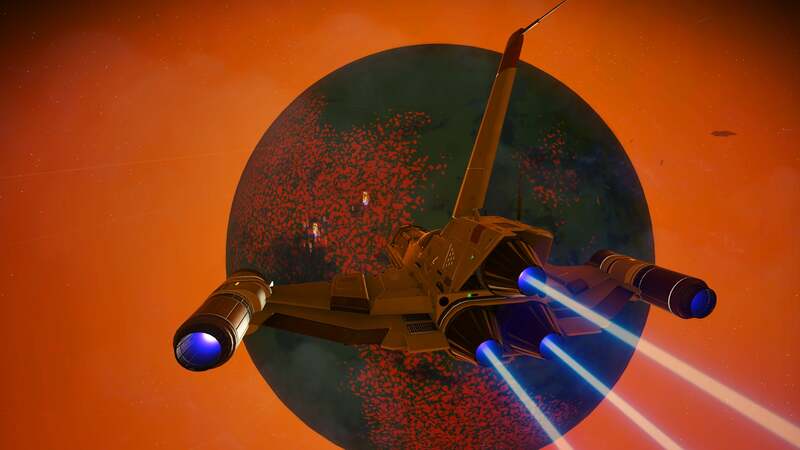 I am organizing visits to the ships here from another community online and there is interest in using this ship, so I felt instead of me telling them every time what it is, that it would be better to have the official description here in the STC. I know it’s not very visible here yet but I hope some more step out of the initial shyness and begin sharing some dreams here too. Anyway it’s been very helpful so far and the weekly invites are appreciated, just felt like you should know! Thank you, dear Nils, you can just lift up. I have had difficulty to recall my dreams the last days, but that of last Saturday morning. I was rushing to go to a very advanced train station and then got in a silver bullet train. I felt so humble among the other passengers for I was so anxious and insecure. When all the other ones who mostly looked more aged than I was, I was trying hard looking for the outlet for recharging my mobile phone as soon as possible for it’s dying. I seemed so impatient to be able to connect with my friends or family, saying something to them. The interior of the train looked so dim, and none [including someones who look not only familiar, but also capable ] seemed to have ever showed their kindness to help, I felt worse…lonely, helpless in the very helpless mess. Fortunately? enough, before waking up, I seemed to have finally found the outlet and plugged my mobile phone in.